I’m afraid It’s that time again for sorting out the Marshalling duties for the year. Whether you take part in events or you’re purely a leisure rider I’m sure you can all appreciate the need for members to help with at least one marshalling duty in order to maintain the smooth running of the club and to allow us to keep a high standard of events. Please use the form below and tick the boxes for any events that you are NOT available to marshal. If you would prefer to help out with one of the League 2000 events on a Monday night rather than marshal one of the open events then click the box under League 2000 towards the bottom of the form. Marshalling duties for the L2k are then sorted from the list of volunteers. If you chose to help with the CX event then please can you note in the comments if you would prefer to do Am or Pm as it will be done on split shifts this year as it is a rather long day. The CX will most lightly be late Oct but I’m afraid the dates for the CX events have not been confirmed yet. Could you please complete this form before SUNDAY, 5 FEBRUARY. It will be assumed that members not completing the form are available for all dates. All members between ages 18 to 69 are required to marshal with the exemption of members who already carry out Cleveland wheelers work, or honorary or distant members. Over 70s are still welcome to volunteer if they wish. We will try to complete the marshalling duties list by mid February. 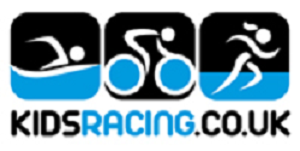 The open events and road race marshalling is not to be confused with the Evening Series marshalling which you commit to separately when entering the Series. Finally, if you really feel that you are unable to help with a marshalling duty due to whatever reason? then please just put a note on the form and submit it anyway. This makes my job easier. However I would urge everyone to commit where possible to help out your cycling club. Posted on January 11, 2017, in Uncategorized. Bookmark the permalink. Comments Off on Marshalling duties survey 2017.